Chances are, if you’re not growing your own food, it’s for one of two reasons: You don’t have the time, or you don’t have the space. Or, for a lot of us, these factors are both obstacles. It’s absolutely true that many gardens do take up space and time—both of which seem to be on a permanent decline for many people in today’s busy, crowded world. But with the advent of aquaculture, hydroponics, and vertical, mulch, community and permaculture gardens, it’s getting trickier and trickier to come up with reasons why any of us shouldn’t at least be growing some of our own food. Well, even our last two reasons for not gardening have been kicked to the curb with the advent of the World’s Smallest Garden. The self-watering garden from Urban Leaf utilizes upcycled glass bottles and canisters of seeds to give you a variety of herbs and greens year-round with zero effort. And consider this: Every meal for the average American travels more than 1,500 miles to get from farm to table. “We're aiming for 15 feet,” Urban Leaf’s Kickstarter page proclaims. “We're saving food-miles.” Also, consider the average American creates 1,500 pounds of (mostly packaging) waste every year. 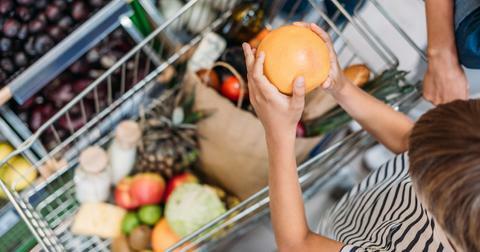 “We're aiming for zero food-packaging,” the page explains. And lastly, consider that our American food system lands 40 percent of all food in the garbage each year—the equivalent of $121 billion, and an enormous waste of natural resources. Growing your own food at home brings food waste down to zero percent. So yes, it’s great for the environment. But what about the flavor of our food? Instead, Littlewood got into finance, an industry he left in 2015. “It's taken me about 20 years to get here,” he tells Green Matters, “and I've done a whole lot of other random stuff in between. But I am happy to have come full circle and finally be doing something (professionally) that involves food and gardening. I've been a small-scale gardener for a long time, but it wasn't until I moved to New York that I really learned about hydroponics." 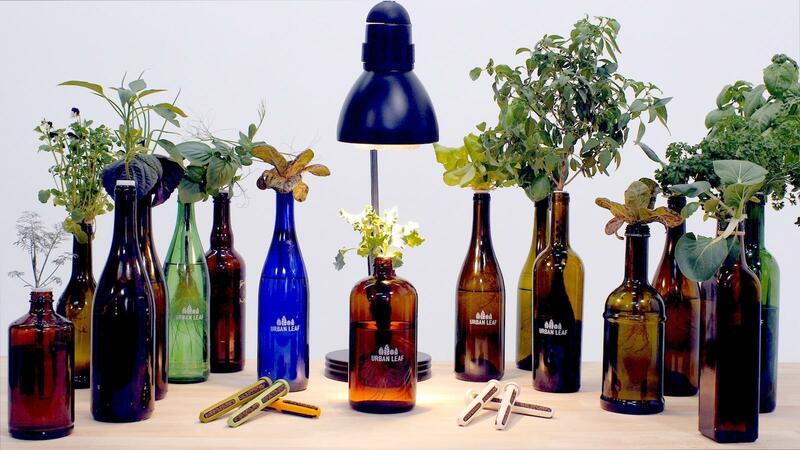 Part of the magic of the World’s Smallest Garden is its “smart soil,” which uses a capillary action to draw water up from the bottle and directly into the seed, which eventually sends sprouts into the bottle for continuous watering. For the first month, you won’t need to refill the bottle at all. After that, you’ll just need to top the bottle off. Easy peasy. The campaign for the World’s Smallest Garden is on Kickstarter until June 21, and has already raised more than $21,000 of its $40,000 goal. Supporting the project with $15 will score you three planter packs for your own World’s Smallest Garden setup, putting you about a month away from your own fresh herbs and greens.